It’s National Moving Month and that means one thing’s for sure: Many of you (and us) are on the move! From cross-country treks to midtown moves to half-mile jaunts, relocating your life, your loved ones, and often your career is never an easy feat. This past year, our content team has researched and written more pieces of moving content than we can count. It’s kind of (no, it is) our specialty. So in honor of the crème de la crème of months, the 31 holiest of days, and the season we wait in great anticipation for all year, here is a roundup of our favorite, most useful, and most read content ever. To begin with, let’s address the question that’s burning a hole in your pocket: How much does it actually cost to move? Though this is one question that if you ask 5 people you’ll get 5 different answers, we’ve put together a quick and easy guide that, if followed, will give you a better sense of what you should expect to shell out, come moving day. If the mere thought of tackling this task overwhelms you, you’ve come to the right place! Here’s the ultimate guide for choosing a moving company — essentials to know, what goes into the process, and not-to-be-missed advice. As an added bonus, we’ve also developed the ultimate tool to help you find the perfect moving company for your move. Just click below to get started! Thought that was all? Not by a longshot! Grab the popcorn and watch our video below for a guide through the entire process. As the savvy mover you are, you’ve probably already guessed that not all moving companies are created equal. Since we want you to be the utmost prepared when you speak to a moving company representative, here is a list of 15 questions to ask (and get answers to) before making a decision. With all of the things you have to do, finding an app to help you move can feel like a job in itself. In an effort to save you the fruitless cycle of endless scrolling, downloading, and deleting apps, we’ve vetted a sea of options out there and gathered the best-of-the-best just for you (and your fellow movers). To make your move as streamlined as possible, it’s worth a little (or a lot of) extra preparation. Don’t worry, you don’t have to spend your moving budget on binders and highlighters, but having one or two helps. And binders are only the beginning. Use this guide to take the stress out of your move each step of the way. Brave DIY movers, this one’s for you. If you’re nervous don’t worry. You have us and our ultimate guide curated just for DIY movers like you. We’ve got you covered before, during, and after your move so keep calm and read on. Congratulations! You found an apartment of your own and you’re on your way to ultimate independence. But wait. 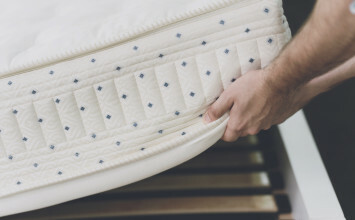 Did you remember to pack the mattress cover and pick up a first aid kit? 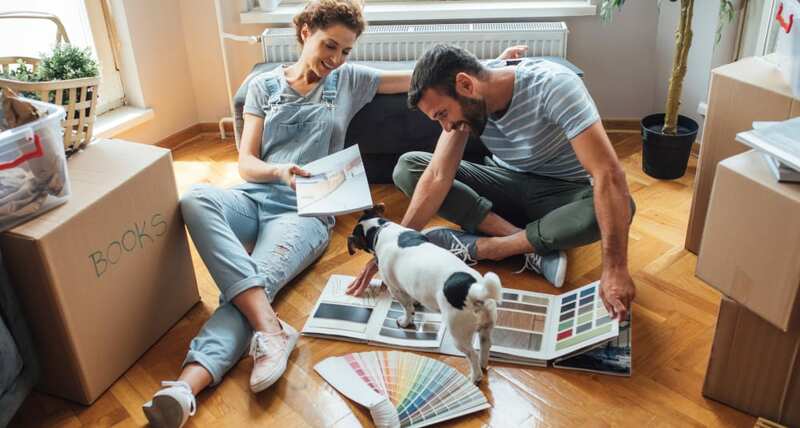 From the must-haves to the just-wants, this checklist will get you ready to move into your first place and jump into decorating. You booked your moving company, but what about your car? From mapping out a timeline to choosing a shipping method, we’ve got you covered. Use this guide to move your car from point A to point B with a company you trust. Transferring your utilities early is a no-brainer, but you may not know just how early to make the switch. We’ve put together an easy to follow guide that’ll get you set up in your new home, and back to binge-watching in no time! So many forms and so little time. That’s no reason to avoid forwarding your mail, though. With a little preparation and some insight, you can seamlessly get all of your mail sent to your new home stress-free. Thankfully, we have both! Read this guide for everything you ever wanted to know about forwarding your mail (and then some). We get it. Very few places are worse than the DMV. To make sure you never end up at the front of the line with a document missing or a valid ID short, we created this guide. Every state is different, and here you’ll find links to the rules for each one and some tips to keep you on track (and out of the line). 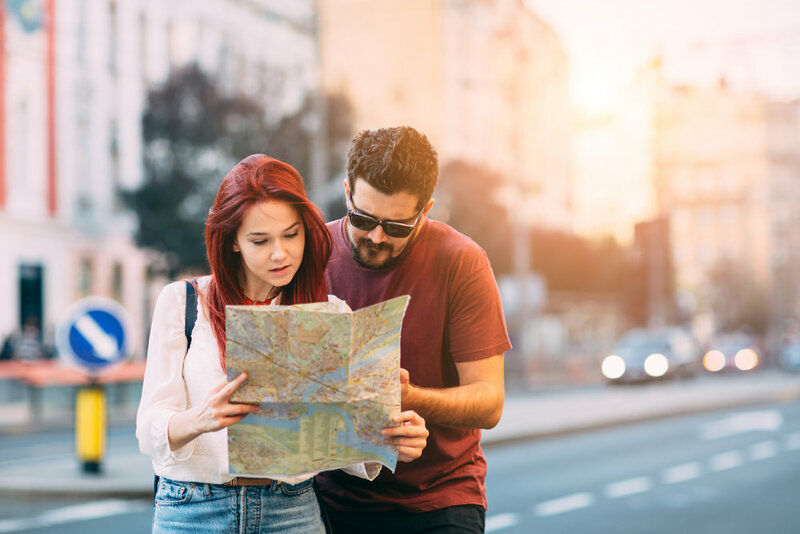 Whether you’re on a cross-country haul or just hopping over the border, there are specific aspects to moving out of one state and into another that you’ll need to know. From packing your car to understanding the delivery “spread” of your belongings, here’s your need-to-know info on moving your home across state lines. Even if you aren’t crossing the border, every time you move you must update your voter registration. The ins and outs of exercising your constitutional right to cast a ballot aren’t always cut and dry. Here’s what to know about when and how to update/re-register in every state. Selling your belongings is no easy feat. The planning and purging process can be overwhelming to tackle on your own. Luckily, we’re here to help. If you’re unsure where to start, use this go-to guide to prep, promote, and profit from your garage sale. For everything you can’t sell, or if you’re running short on time, donating is the next best option. From specialty donation spots just for shoes and baby clothes, to more general cause-worthy organizations, we’ve gathered a list of where to donate what and the the know-how you need to get started. Before you kick that couch to the curb, consider donating it. There are plenty of places you can drop off your unwanted furniture and many organizations will pick it up for you. There are limits to what they’ll take though, so here’s what you need to make donating your furniture a breeze. Moving a large instrument is tricky. They’re awkward, heavy, and often hard to replace. That’s why we recommend hiring professional movers to take care of the heavy lifting and disassembling. If you’re feeling brave, though, there are important steps to removing that piano from one home to the next safely. Before you run out and buy enough boxes to pack up the Biltmore Estate, take a few minutes to read up on how many boxes you really need. Need to pack your Britannica collection? There’s a box for that! Intrigued? 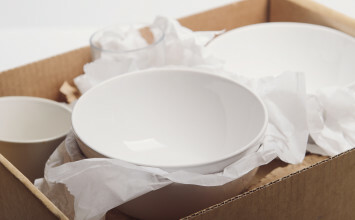 Get into the nitty-gritty of box buying right here. If you were about to open your wallet and pay for cardboard boxes, don’t do it! If you have a little time (and the motivation) there are plenty of places willing to hand over cardboard boxes they no longer need — like groceries stores and liquor stores, just to name a few. If you’re looking for a “greener” more eco-friendly approach to moving, recyclable bins are the way to go. Across the nation, there are numerous companies that rent reusable plastic bins to individuals and companies. We’re big fans of the plastic bin. Not only are they convenient — dropped off directly at your home — but there is also no tape involved! Does it get better than that? We think not. If you’re not a frequent mover, you might not know that there are specific items you are not allowed to pack on a moving truck. Mind blown? That’s ok, we were all moving newbies at one point or another. 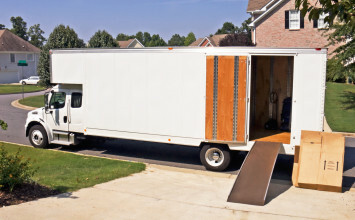 This post will guide you through what you can and cannot pack on a moving truck. Everything from the obvious, such as guns and ammunition, to the less obvious such as plants and safes. Anyone who ever said moving was a simple task obviously never moved before. There are dozens and dozens of things to do, items to organize, and tasks to complete. Not sure where to start? That’s ok because we do! Our epic moving checklist (that’s also downloadable) will help you organize not only the largest most obvious tasks, but the smaller details you might have otherwise overlooked. Our checklist starts two months out from the date of your move, but if you’re working on a tighter deadline, we have a consolidated moving checklist for you to download. Didn’t know ice cubes could get rid of the dents left by your couch in your carpet? Never knew plastic wrap could be used in so many innovative ways? That’s ok, we did. That’s why we’re here. When it comes to moving, we’re the hacking experts. Leave it to us. We’ll get you packed and out the door in half the time (or at least with a few extra hours to spare). Looked behind your entertainment center or desk recently? Those wires can get out of control at the best of times. Here are our tried and true tips to keep them under control as you move and to remind you where they all go while unpacking. Learning to pack like a grocer is just one step in this guide. To move with as little waste as possible, follow all of these steps and arrive at your new home with at least a few pantry staples and as little waste as possible. You might not believe us, but filling in nail holes is one of the top stressors for people moving from one home to another. How do you fill in those tiny, little holes? Putty? Spackle? Cookie dough? You might see it done expertly on HGTV, but when push comes to shove, how confident are you, really? Whether you consider the local hardware store your second home or an alien planet, these tips for filling in those pesky holes are doable by all. Maybe not an “essential” item for completing a move, but a few tunes never failed to lighten the mood and give you some extra encouragement to cross the finish line – the moving finish line, that is. Moving day is hard work for everyone, especially your moving company. You want to show your appreciation for the care they put into transporting your belongings, never mind the heavy lifting, but just how much should you tip? Use the answers to these questions to calculate the best tip to thank your moving company. Staying organized as you move is the best way to stay sane. It’s easy to forget the little things, so this checklist holds all the details, big and small, that you need to take care of for your new home. Need to turn the water off just a few days after you move? Prepare for this and other sneaky surprises with the help of this handy checklist. Nothing screams “I just moved” like an empty pantry and fridge. Since no one ever wants to go hungry their first night in a new home, here’s the only grocery shopping list for a new home you’ll ever need. Happy cooking! Want to protect your belongings but puzzled by released value protection? Our helpful guide cuts through the jargon and breaks down the nitty-gritty details of moving insurance. That way you can navigate your options with confidence and protect your belongings in transit. Looking for advice on a topic you didn’t see here? 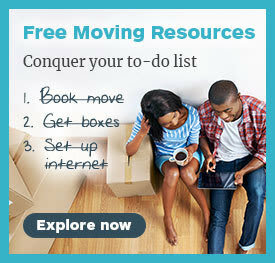 Check out our Moving Tips blog for additional moving advice to save you time, money, and sanity. You can also follow us on Facebook and Twitter for more not-to-be-missed relocation tips. Until next time, keep moving!